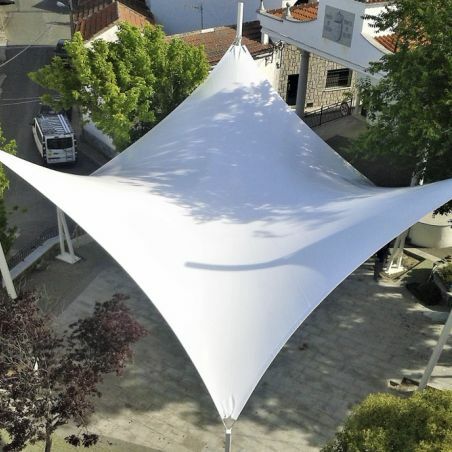 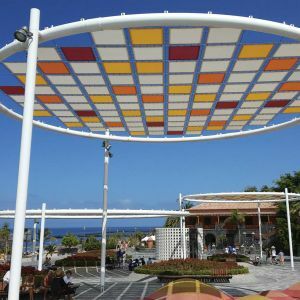 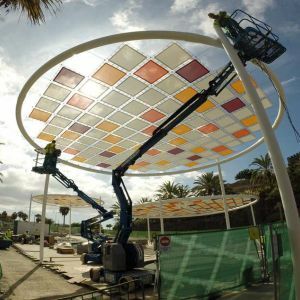 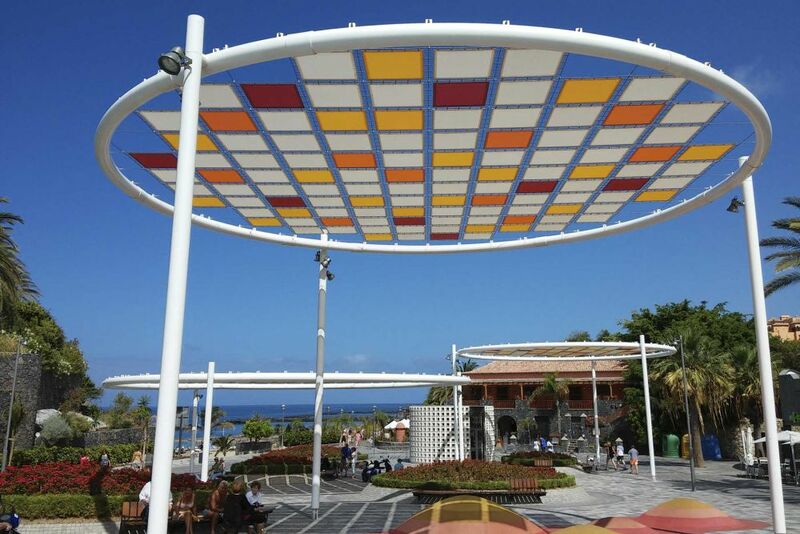 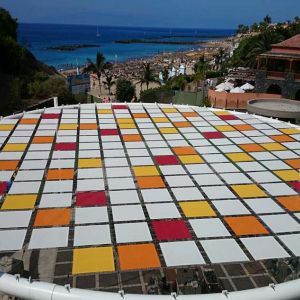 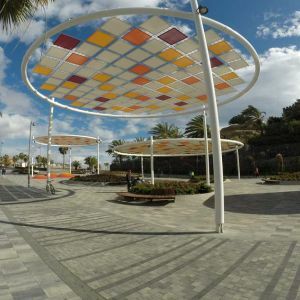 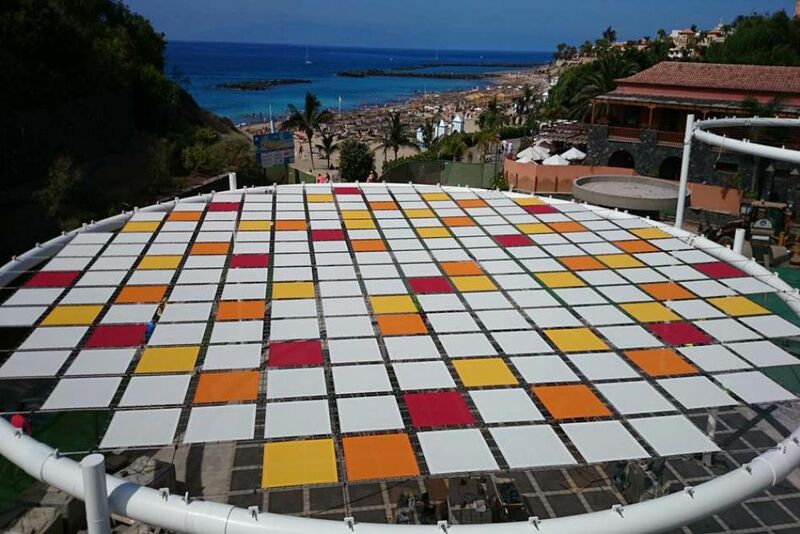 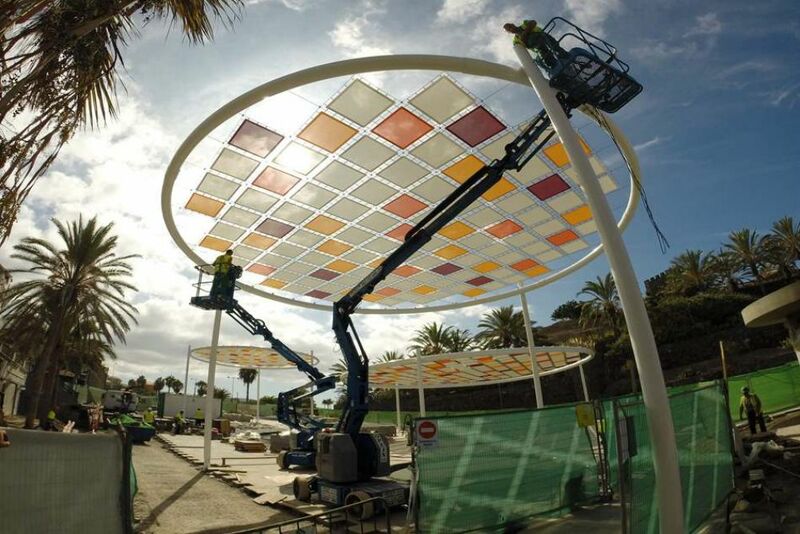 Improvement of Calle Unterhacing, in the Adeje municipality in the province of Tenerife, features the covering of three areas. 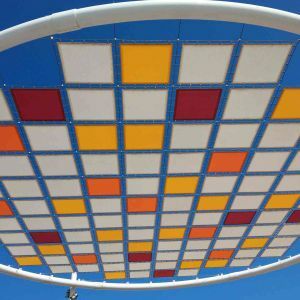 A total of three circular structures supported on three pillars with wire mesh provide shade on the pedestrian street. 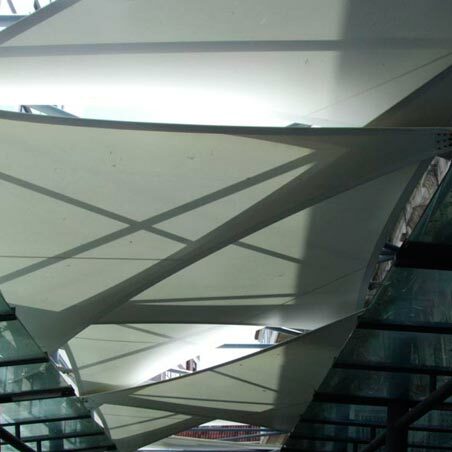 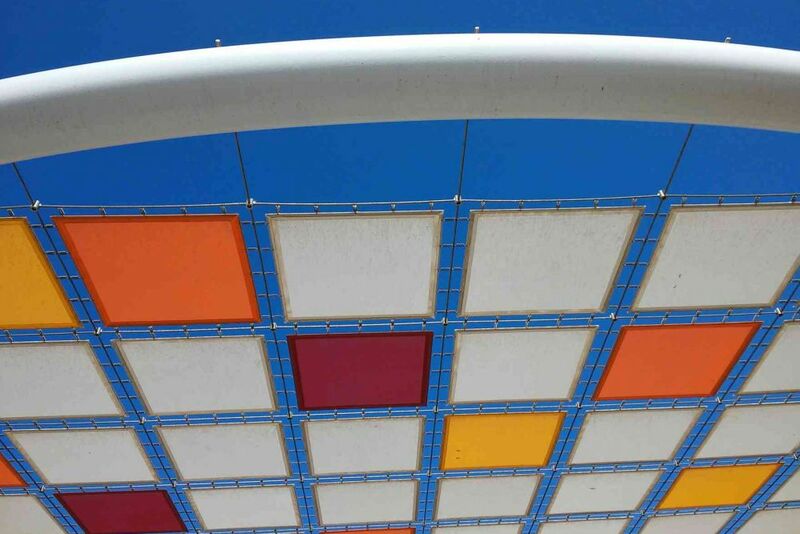 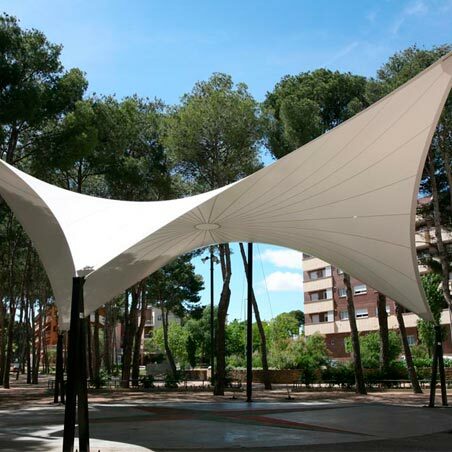 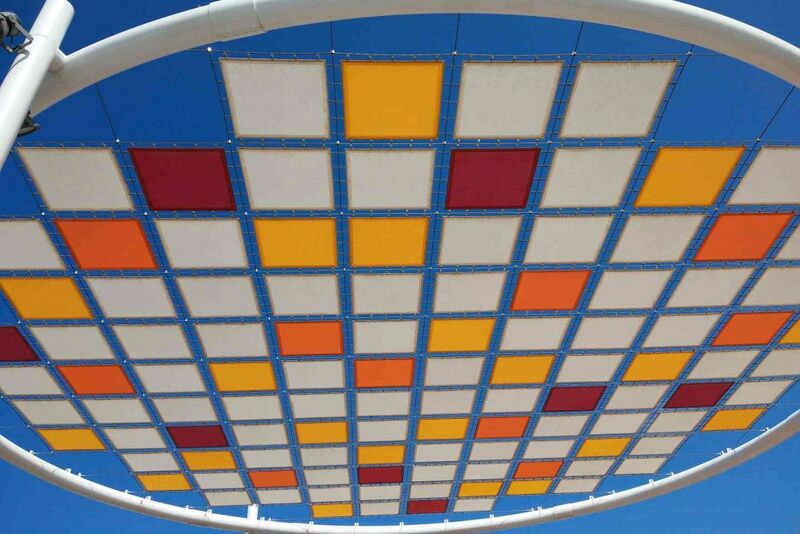 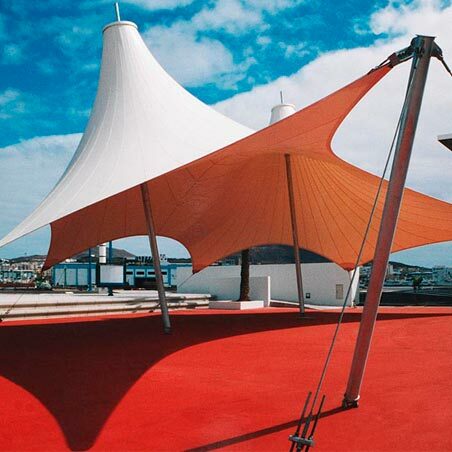 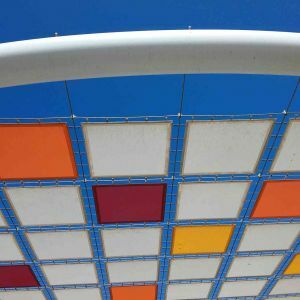 The covering for each structure is made with stainless steel wire mesh and membranes fastened with springs. 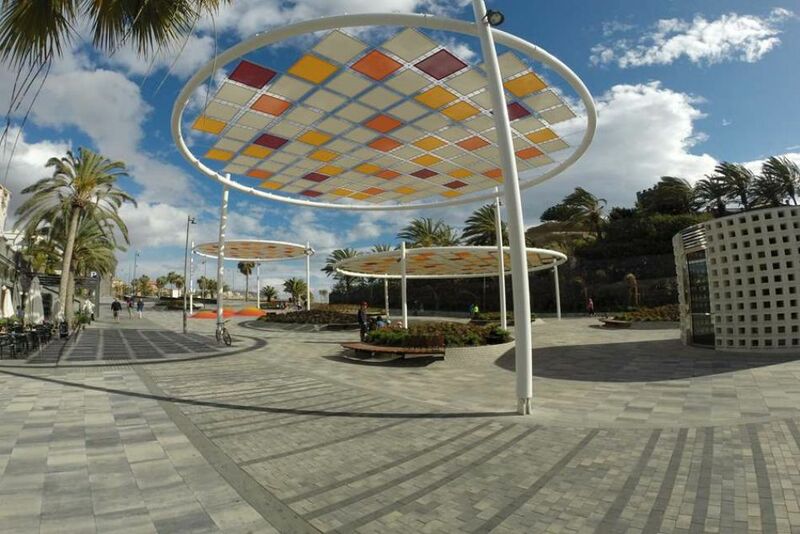 The uniqueness of this street’s refurbishment makes this space a benchmark on the Adeje municipality coast. 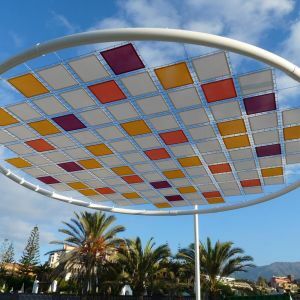 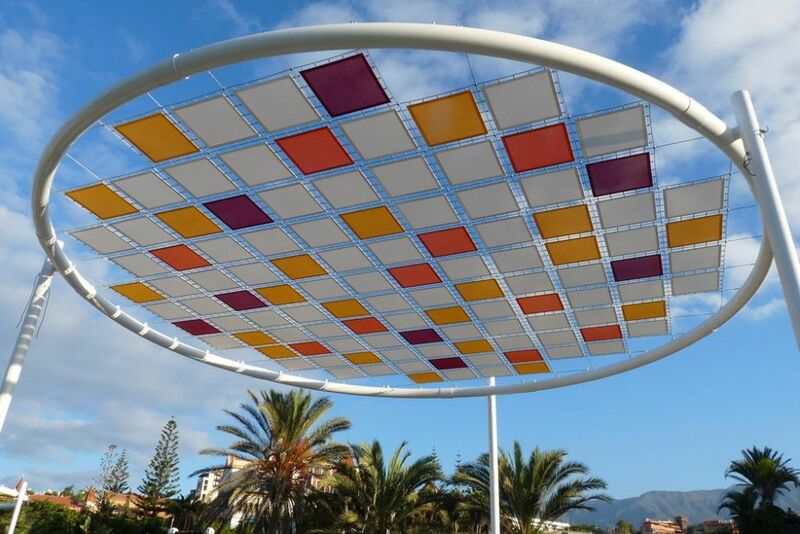 *Project images for Calle Unterhacing in Tenerife are provided by Jiménez y Bazán Arquitectos SLP.